FIWARE is creating a smart manufacturing platform, based on industry standards and open source components that helps developing smart applications for all production processes. Compliant with existing industry architectures such as the Reference Architecture Model Industrie 4.0, the Industrial Data Space Reference Architecture or the Industrial Internet Consortium Reference Architecture. Context Broker (Orion) integrates information from robots, other machines and sensors in the shop floor, breaking information silos. IDAS IoT Agents connect to sensors, handling multiple IoT protocols. OPC- UA IoT Agents bring alignment with RAMI 4.0. Kurento transforms media streams from cameras into valuable context information. ROS-2 robots are interfaced using Fast RTPS, adopted as default communication middleware in ROS-2. Tailor-made system adapters cope with rest of shop floor machines and information systems. History data is processed using different processing engines (e.g., Hadoop or Flink) to extract insights or derive smart actions. Complex Event Processing, Advanced AI or machine learning functions can be implemented on top of Apache Flink. Operational dashboards are based on the Wirecloud web mashup framework. Knowage enables KPIs monitoring, Reporting and BI functions. Unleashing the potential of context data from the Internet of Things and other systems, using Big Data and AI services on the cloud. Adopting a data-driven approach through the decoupling of industrial processes while warranting sovereignty on your key strategic asset: data. A flexible and configurable software component which can exploit Industrial IoT Data in Motion streams coming from Smart Factories, together with other heterogeneous data sources from mobility, cities, the environment or meteorological data. The Industrial Data Space (IDS) addresses a key topic in the evolution of Industrie 4.0: how companies and institutions can build a space where data is shared in a decentralised manner so that each organization can use available data to improve their processes as well as govern and monetize data exported to third parties. 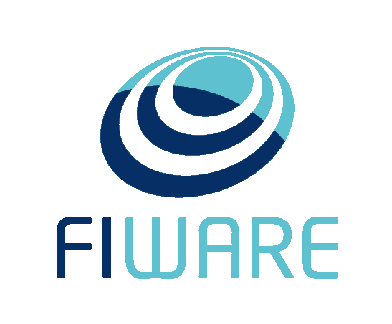 FIWARE and IDSA are creating a secure and trustworthy data exchange which addresses interoperability with many different data types used in global supply chains.